After School Tennis Postponed Again. The weather just is not cooperating. Once again we are postponing the start of the After School Program. Hopefully, we will be able to begin Monday March 16th (after Spring Break). Here is a link to the After School CALENDAR. The Beginner class is FULL but there is still room in the Munchkins, Intermediates, & High School Groups. In the meantime, if the weather is on board I am available for private lessons. If you are interested contact me at (931) 624-2180. 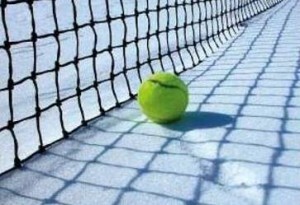 Start of After School Tennis Postponed. 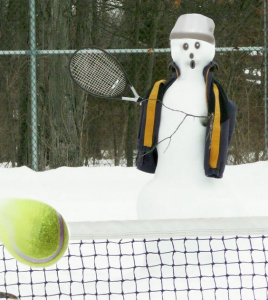 Due to weather we will be postponing the start of the After School Tennis Program for one week. Hopefully, we will be able to begin Monday March 2nd. Here is a link to the After School CALENDAR. All children, age 5 to 12 are invited to come and enjoy Professional Tennis Instruction, Games, Drills, and Competition. The action starts at 10 AM. Children ages (5 – will be finished by 11, but ages 9 – 12 will stay and extra hour for Competitive Games & Match Play. Prizes, snacks, and drinks will be provided. Space is limited. To register now, click here. After School Tennis is On! Hopefully Blue Sky’s are on the way. It is not too late to sign up for After School Tennis. We got off to a slow start the last two weeks, due to the weather, but Spring is on the way. We anticipate advancing all class start times 30 minutes when the Montgomery County School System implements their Inclement Weather Make-up Plan (April 7). If you are interested in signing up or have questions call (931) 624-2180. Tennis Professional of the Year! 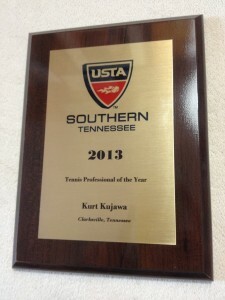 Extremely honored that the United States Tennis Association awarded me the 2013 Tennessee “Tennis Professional of the Year“. Thank You to Preston Howell and the Clarksville Tennis Association for nominating me. Australian Open Begins in 2 Days. In the tennis world, January means it’s time to stock your pantry with midnight snacks, program the coffee maker and give your boss/teacher a heads up that you might be a little red-eyed during morning class/meetings. It’s no secret that the Australian Open is the toughest Grand Slam for Americans to follow, given that Melbourne is 16 hours ahead of the East Coast. However, ESPN and Tennis Channel have tennis fans covered. ESPN2 and ESPN will feature more than 100 hours of live tennis. For those who don’t like having to rely on ESPN’s programming decisions, the network’s online arm, ESPN3, will carry the action on all seven televised courts — Rod Laver Arena, Hisense Arena, Margaret Court Arena and Courts 2, 3, 6 and 8 — for the first 11 days of the tournament. ESPN2 will also re-air some of its coverage during normal waking hours in the United States. Meanwhile, Tennis Channel will supplement ESPN with its own live coverage. It will also run its highlight-and-encore show, Australian Open Today, in the morning daily from Jan. 13 through Jan. 22. Here’s ESPN’s live programming schedule for the Australian Open. Coverage begins Sunday at 7 p.m. ET. And here’s Tennis Channel’s live programming schedule for the Australian Open. Coverage begins Monday at 7 p.m. ET. If you have not signed up for the Fall league you need to do so QUICKLY if you plan on participating. Fran Powers has worked very hard to organizing and schedule a great league for everyone this Fall, please let her know if you have a team (4 boys & 4 girls) or would like to be on a team, if you have not already done so. The Fall Tennis League for High School players will begin Sunday, September 8, 2013 at 2:00p.m. on the Swan Lake tennis courts. The cost will be $35.00 per player. All payments will be taken on the first day! This league is a lot of fun and a great way for players to practice before the season opens. Please contact Fran Powers at 980-2340 or p0werkids@aol.com for more information or to register.